1. Dr Clive Lipchin – serves as the director of the Center for Transboundary Water Management at the Arava Institute for Environmental Studies in Israel. He also serves as a faculty member at the Arava Institute where he teaches water resource management in the Middle East. 2. Daniela Pennycock – is a graduate of the Arava Institute. She co-authored this report as part of her independent study project at the Arava Institute. Avraham Israeli – is the co-founder and president of the Israel Water Association. As an experienced water, agriculture and environment consultant, he has nearly 30 years’ experience of managing projects in Israel, Asia and South America, among others. The main freshwater resources in Israel are Lake Kinneret, the Jordan River, the Coastal Aquifer and the Mountain Aquifer (Figure 3). It is important to note that all of Israel’s freshwater resources are shared. 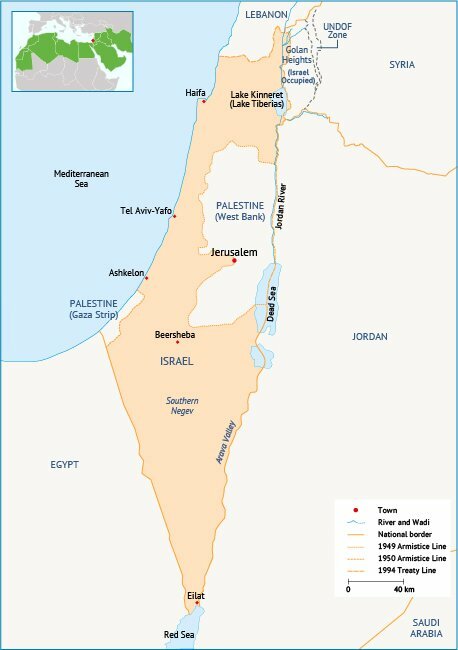 The Mountain and Coastal Aquifers are shared with Palestine, the Jordan River is shared with Jordan, Lebanon, Palestine and Syria, and Lake Kinneret is shared with Syria. Almost all of these resources are overexploited and recent drops in water quality and quantity have underscored the fact that current use is unsustainable in the long term. Israel’s gross domestic product (GDP) is $290.6 billion. Israel has a diverse open market economy with international hi-tech companies and local firms. The country joined the Organisation for Economic Co-operation and Development (OECD) in 2010 and is known for its research and development, human capital, entrepreneurship and venture capital availability. Israel has become a global leader in the development of cutting-edge water technology with the development of modern irrigation methods such as drip irrigation and innovative water treatment methods such as desalination and wastewater reuse. Desalination plant at Palmachim in Israel. Photo: Michael Jacobson.